I was going to save this post until August when I had been properly AVID-trained, but I get so many questions about these One-Pagers on Instagram! They turned out so beautifully, and it’s such an easy strategy that I think we can all implement it with or without the full training. A Literary Response One-Pager is an AVID summarizing strategy in which students use evidence from the text as well as graphics to convey the overall idea or theme of a story. It’s a very versatile strategy, and I’ve seen teachers use it in history and science classes as well. My co-worker had her class do this assignment for The Diary of Anne Frank and I loved how hers turned out, so I used the same strategy. I came up with my own instructions and posted them on Google Classroom for my students to refer to. (I use LucidPress to create most of my digital flyers instructions, and the flat lay graphic is from Laine Sutherland Designs on TeachersPayTeachers). The examples here are from my 8th grade English class, using the Anne Frank play from the HMH Collections Curriculum. We had engaged in so many discussions while reading the play, and my students had written so many shorter, focused writing pieces, that I didn’t want to assign another long essay at the end of this text. But because Anne Frank’s story is so powerful and so profound, especially to readers who are her same age, I knew we needed a reflection piece. 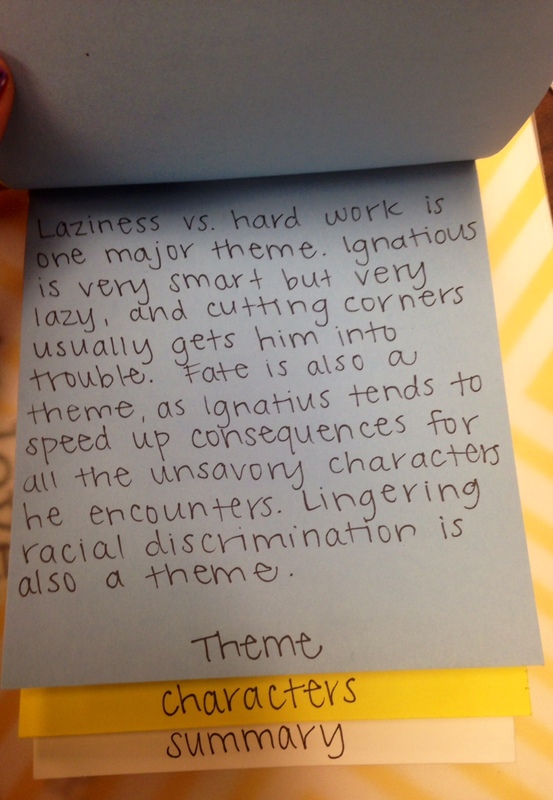 Before we started working on these One-Pagers we talked about tone. 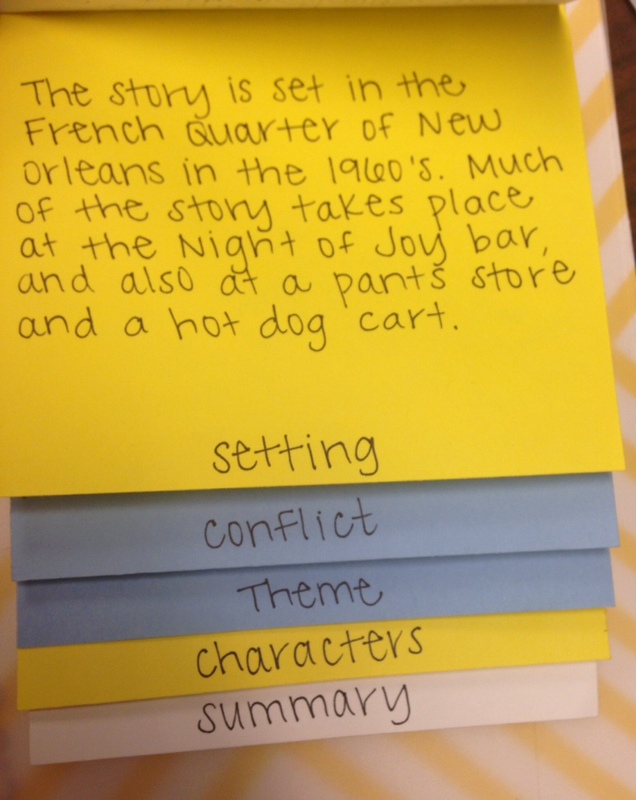 Color choices would reflect students’ understanding of the tone of the story, and would allow them to express their interpretations of the story. 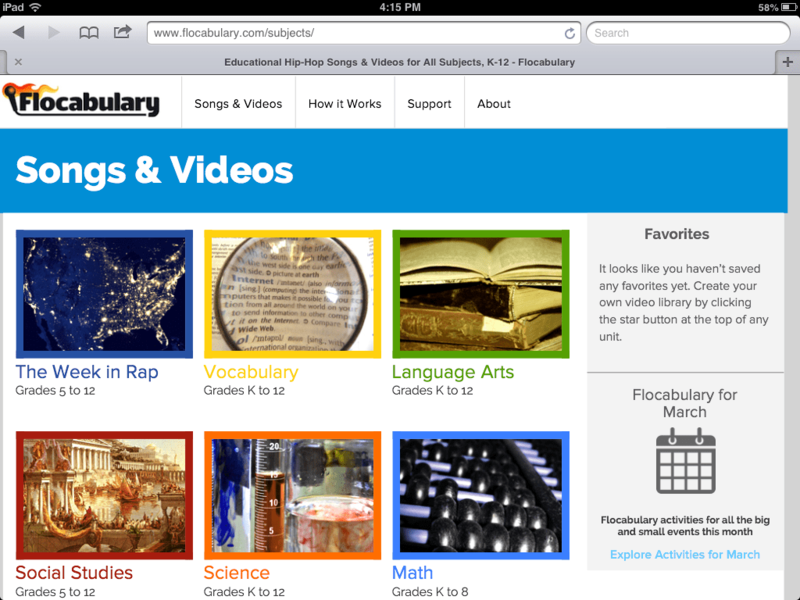 I love using Flocabulary’s video and resources on Tone & Mood to introduce this topic. 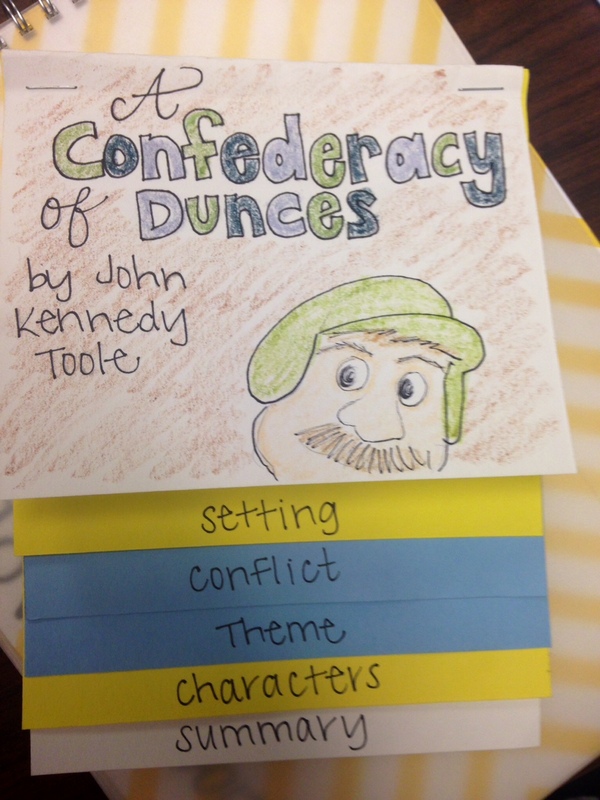 Similarly, the excerpts that students chose to use from the story also demonstrated both their understanding of the main ideas and theme, and allowed them to choose the sections that they connected with the most. I love when an assignment offers choices to students, but also keeps them focused on a specific task. Clearly, the graphics on these projects are stunning! We have an amazing art program at our school, and I also just happened to have a class full of some of the most artistically talented students I’ve ever met. I also love that calligraphy/hand-lettering is kind of a thing again, and these students like to make all of their hand-written assignments look extra amazing. It isn’t necessary that all of your students have professional drawing skills in order to do One-Pagers, but it is nice if they put a little bit of effort into the details of their graphics. These girls (yes, they were all girls), looked up what the actual cover of Anne’s diary looked like, and they studied pictures of her to make sure that their drawings were accurate. I gave them two days of class time to complete this assignment, but the students who did these examples took them home to complete and spent extra time and effort. The “Personal Response” section is always my favorite to read. Ideally the response will be connected to the quotes that the students chose to emphasize from the story. They can comment upon these quotes, make connections between them or to a larger topic, or provide their interpretation of the text. This is great with a long text like the Anne Frank play, but it also helps students to think more deeply about short stories. I haven’t used this strategy with poetry yet, but I have a feeling it would lead to some outstanding projects, and I’m definitely going to try it next year. One requirement that instantly improves the quality of everyone’s project is banning white space. (“Fine, except for clouds and eyeballs,” I always end up saying). It forces students to think about the background of their scene, or fill in blank areas with items or symbols from the story. I tell them to add a border if they don’t know where else to start. This also helps to emphasize mood and tone since students have to make decisions about color choices and cannot just leave blank space. We are not Taylor Swift here. My students know that I am not a fan of pencils (I always use pens! ), and in my class, pencils are for practice. A project in pencil is not complete, it’s just a rough draft. For One-Pagers, students need to go over pencil in pen or marker or crayon or whatever other tool they’d like to use. When students show me their work and it’s just a few things written or drawn in pencil I say, “Oh that’s a good rough draft, I can’t wait to see how it turns out when you finish it!” I spend a lot of my own money and time acquiring plenty of art supplies for students to use because I really value good tools to help students produce work that looks high-quality and that they can be proud of. I was so impressed with the effort and thoughtfulness my students put into this assignment, and I’m so glad that they have inspired so many teachers to use this strategy as well. I’m looking forward to participating in the full AVID training in August, and I’ll be sure to update you on other effective strategies that I incorporate into my class. Be sure to tag me on Instagram if your students create their own One-Pagers. I’d love to see them! The editing process was not my favorite thing to teach middle schoolers. It was a struggle to pull a rough draft out of many of them, and then going through another lesson on editing at the end of a project used to feel like too much. I couldn’t possibly give all of my students in all of my classes sufficient feedback, and often, when they peer edited (even in guided stations), I wasn’t sure that they were truly receiving useful or applicable critiques. Enter Newsela. I’ve used Newsela for a long time now as a reading resource. It’s great because each article is rewritten at various lexile levels, so it provides access to information for all of your students. I’d often assign the same article to a class, and then walk around the room as they read on their Chromebooks, noting the difference in vocabulary, syntax and structure between the different level of articles. 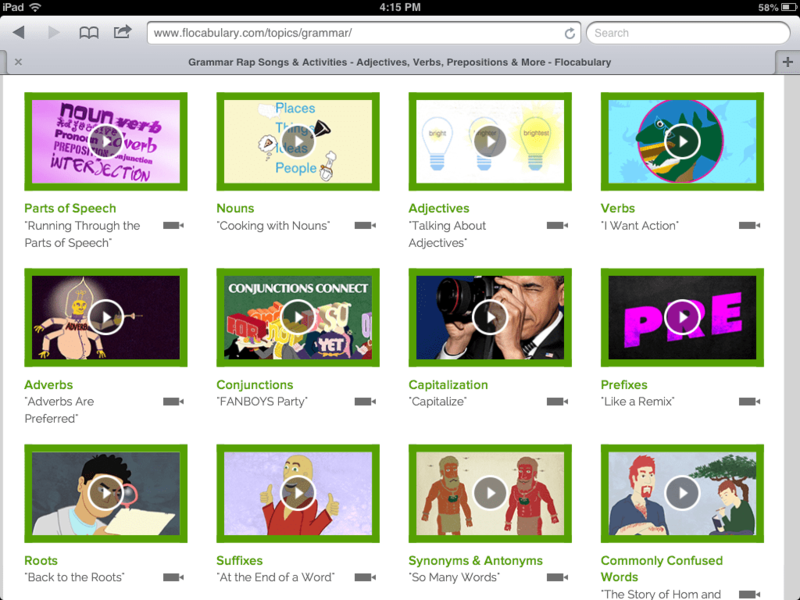 I decided to use this feature to help my students analyze and improve their own writing. I chose a high-interest, current article from Newsela (which are easy to find! ), and had my students read this article at the lowest reading level, usually around the 2nd grade mark. We summarized the article and noted the length of the sentences, the vocabulary used, etc. Then I raised the lexile level of the article up a few hundred points. We re-read the article and noted that now, the sentences were more complex, some of the vocabulary words were more sophisticated, and the author included more details in each paragraph. Finally, we read the article at the maximum reading level and again noted the differences. I had my students choose any other article they would like to read on the site and repeat the same activity, observing the changes as the lexile level increased. I asked them to observe 3-5 specific improvements in the article, and then apply those improvements to their own writing project. 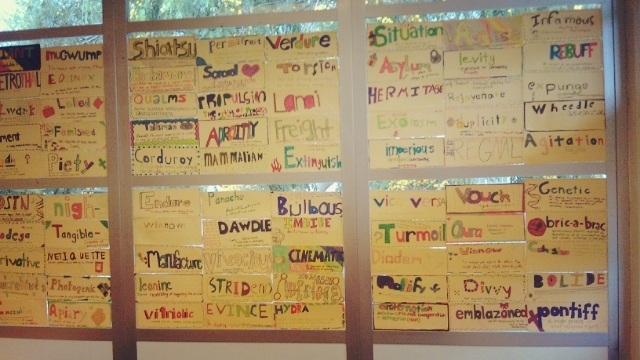 Before we tried this activity, my students would always default to vocabulary as a way to improve their writing. They would simply plug each word into a thesaurus, pick the word that sounded the most complicated, and shove that word back into their essay. Often, the connotation no longer fit the purpose of their essay, and the tone would become clunky and indirect. I realized, however, that this was really the only strategy they had been taught to improve their writing. I’m a big fan of mentor texts and giving students as many concrete examples of good writing as I possibly can, but I tended to only use these as a jumping off point for writing projects. I see now that they are perfect resources for editing, and I no longer dread the editing phase of my students’ writing projects. I don’t know about you, but when I look at all of the CCSS online I get completely overwhelmed and I feel like I’ll never be able to teach every single one! 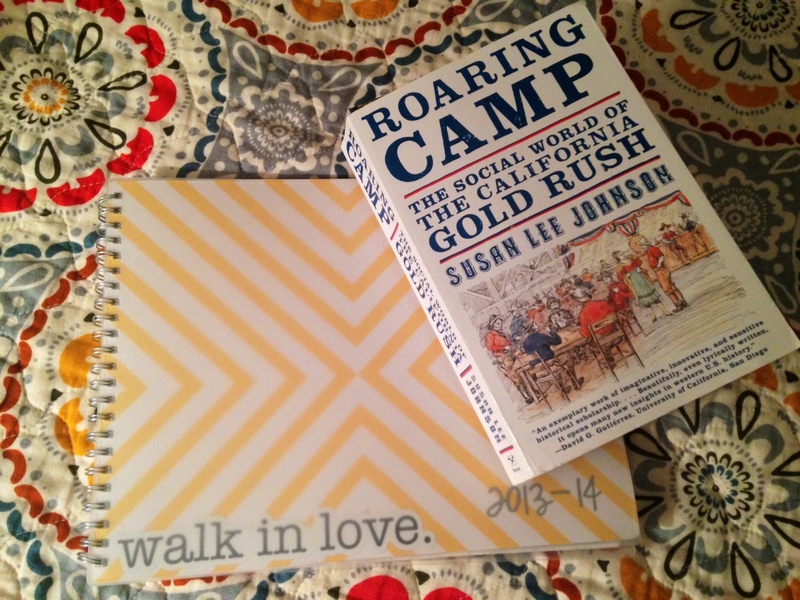 I am trying to start extra early this year and do all my planning based on meeting the Common Core State Standards. You can find my lesson planning standards worksheet here. 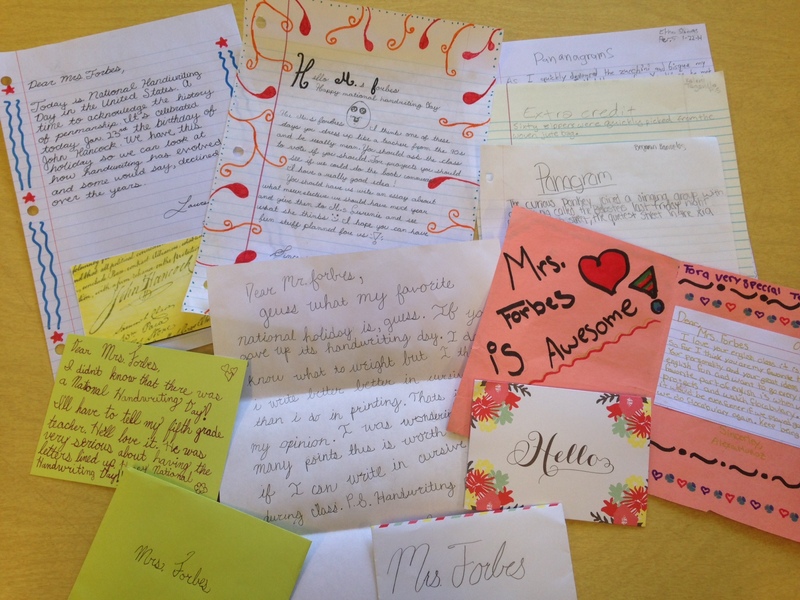 Teaching Farewell to Manzanar was my favorite part of this school year. It was challenging, fulfilling, entertaining, and I honestly think my students are better people after reading this book. Taking on a novel for the first time can be really intimidating, though, so if you haven’t taught the book before, here are a few of my tips. Let me know how it turns out for you! This is my first year teaching English, and I have found that one really difficult skill to teach is summarizing. My students nod and say that they understand, but when it comes down to it, they struggle (and come up with some crazy ideas, way out of left field!). Well, Facebook recently implemented hashtags into its format (oh man, that is going to date this post for all eternity, isn’t it?). I’m not much of a “hashtagger” myself, but one day I was trying to think of hashtags to tack on to a status update, and it was really hard! As I came up with a few really lame words and phrases, however, I had an epiphany: I was really just identifying key words and summarizing my post. I thought, I’ll bet my students do this on Twitter and Facebook all the time. They’re probably way better at it than I am! (Don’t worry, I ended the video right before Questlove walks in). 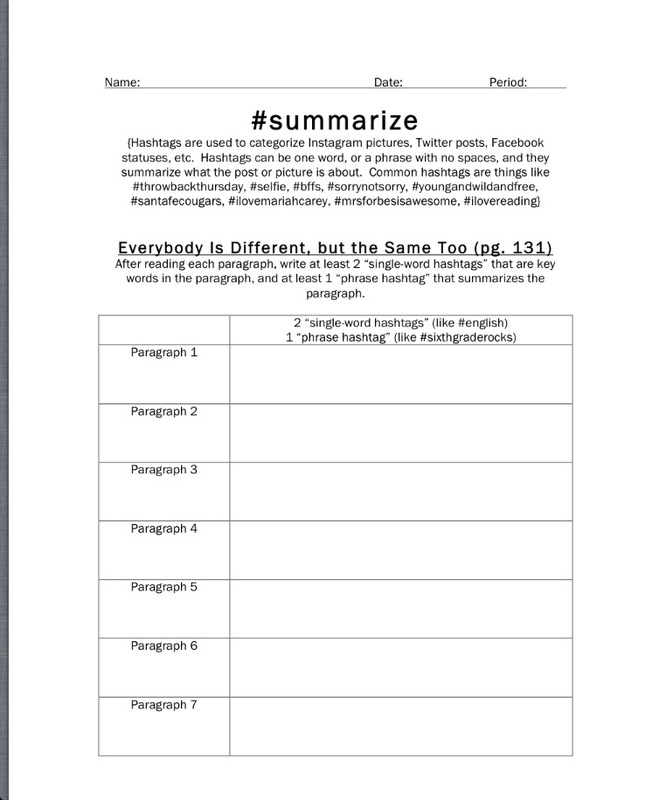 According to my pacing guide, we were supposed to read a story from our literature book called “Everybody is Different, but the Same Too.” I created a worksheet to go with the story that incorporated hashtags (instead of writing down key words or phrases) to summarize each paragraph. My English students really like to read out loud, so a different student read each paragraph, and we added hashtags after each one. I modeled the first one, and the students caught on pretty quickly. 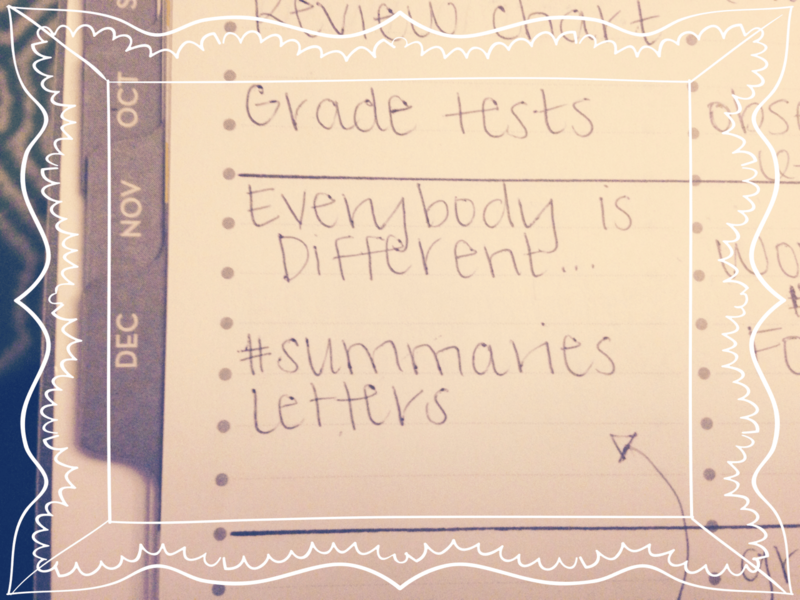 Their hashtags were much closer to actual summaries than other assignments had been where I just asked them to summarize. 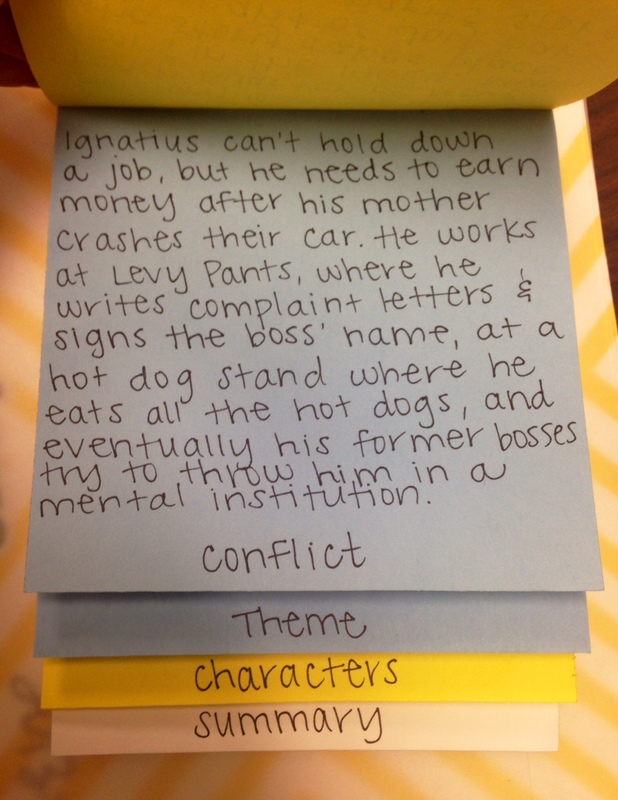 We then connected their summaries to the overall theme of the story, and I’ll share that activity in a separate post. Warning: I did kind of create a monster with the whole hashtag thing, and for the next few days, they added the word “hastag” to everything. Happy (late) National Handwriting Day, everyone! I have always loved anything to do with handwriting: keeping journals, writing notes in class, making lists, having pen pals, filling out forms, sending people birthday cards, you name it. 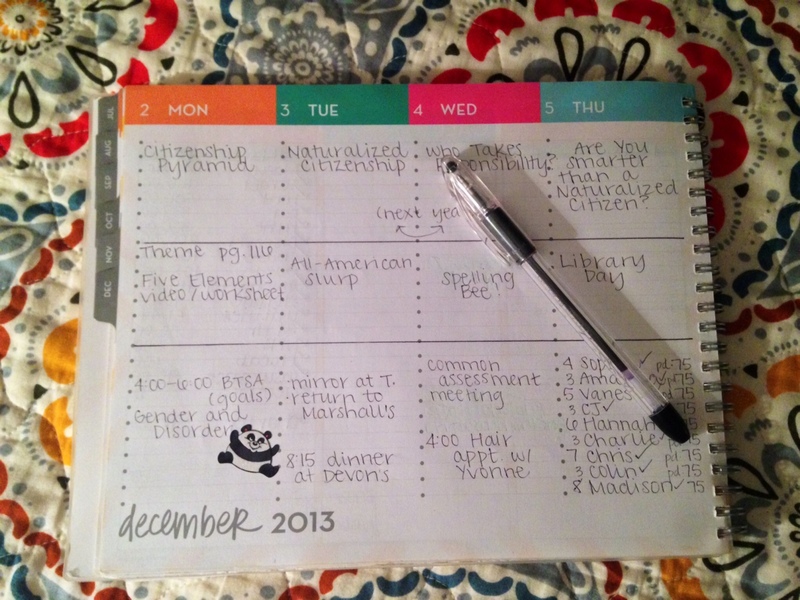 Even now, I keep track of my schedule in a planner that I take with me everywhere. Sure, I have an iPad and an iPhone with brilliant apps that could organize everything for me–but I wouldn’t get to write everything down! Also, since 9th grade I have only used one kind of pen: black, fine point, Pentel RSVP pens. Nothing else will do. I’m very stingy with my pens, too. I will watch you like a hawk until that pen is safely back in my pen pouch in my purse! My husband recently bought me a Kindle Paperwhite to help me avoid the back and neck problems inflicted upon me by the 20-30 books I have to read each semester for my Masters program, but again, I need to write in the margins. (I love the Kindle for pleasure reading, but when I am analyzing a text, I have to engage with it using an RSVP pen). You know what else is kind of strange about handwriting? Mine is almost identical to my mom’s, and hers is almost identical to my grandma’s. 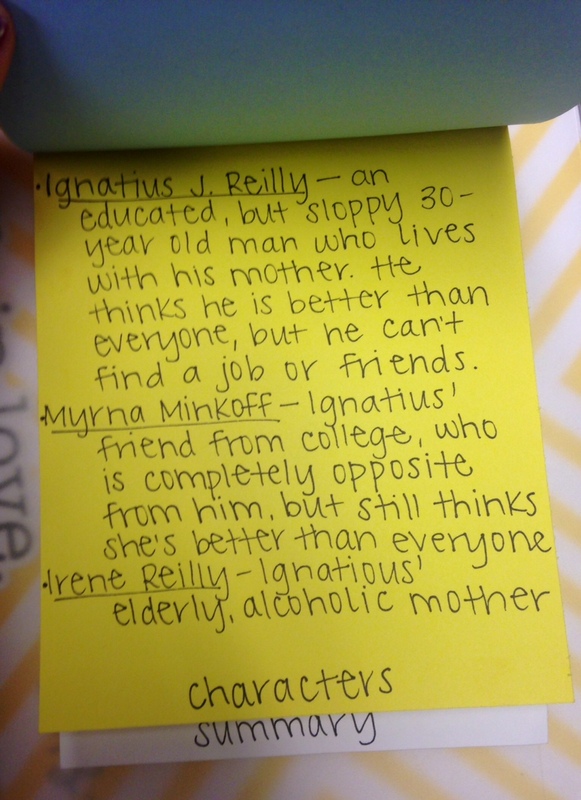 My best friend since 7th grade (Rochelle) and I also have incredibly similar writing. Both of us have been confused when receiving Christmas cards from each other in the mail–Did this get sent back? Did I have the wrong address? Oh, ha ha, that’s not my writing after all! Is handwriting hereditary, or do we copy what we see? Anyway, I am always very excited for National Handwriting Day, and this year we celebrated it in my English class. Sixth graders are never excited to hear the word “cursive,” but I opened their eyes to a whole new concept this year. “You’re not in elementary school anymore,” I reminded them, “so now you can write however you want! You can do loops on your y’s and g’s this week, and then hearts on top of your i’s next week, you can write in half cursive-half printing–the sky is the limit!” I just wanted them to practice neat penmanship, and to have fun doing it. (Panagrams are coherent sentences that include every letter of the alphabet). Next, they practiced writing their signature, or autograph. You would be shocked at how many of my 8th graders cannot write their names in cursive. Like, no matter how many different ways I explained it, I still got their name written in printing. It was nuts. So with my 6th graders, I want to make sure that they practice writing their signature at least once a year. If they get that MLB contract one day, they are going to need to know how to do this! Really, they didn’t have to write the letter to me, but hey, they’re smart! 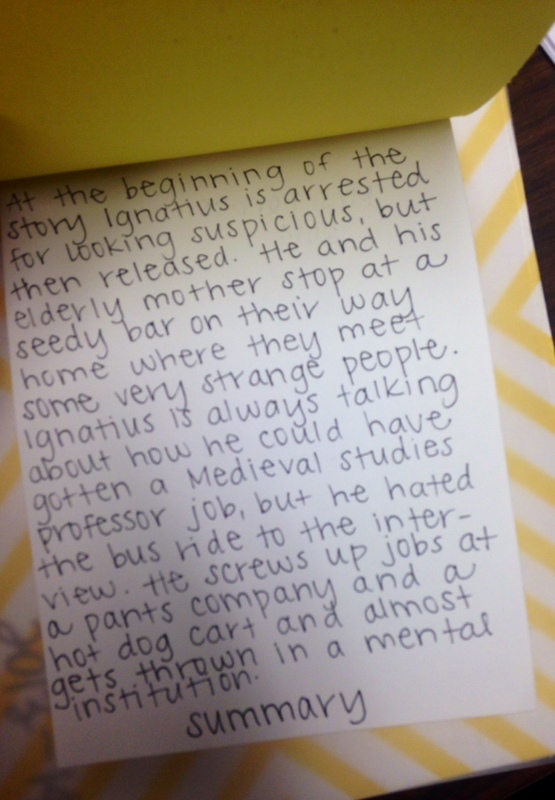 How can I not give you a bunch of extra credit if you hand-write all the reasons why I am amazing onto a cute card? I also liked the homemade stationary (which they probably made ten minutes before the bell rang from their binder paper and a pen they found at the bottom of someone’s backpack, but whatever). Side note: I have heard that many states are dropping cursive from their Common Core curriculum (California is keeping it, though). This is a shame, because I have read in a few articles that the act of connecting one letter to the next requires the brain to think one step ahead, and makes writing in cursive a fundamentally different task from printing. Experts also argue that cursive is useful to know for note-taking, although I would guess that most students will be typing their notes in the future anyway. Still, I enjoy handwriting, and I love to read at beautiful script. 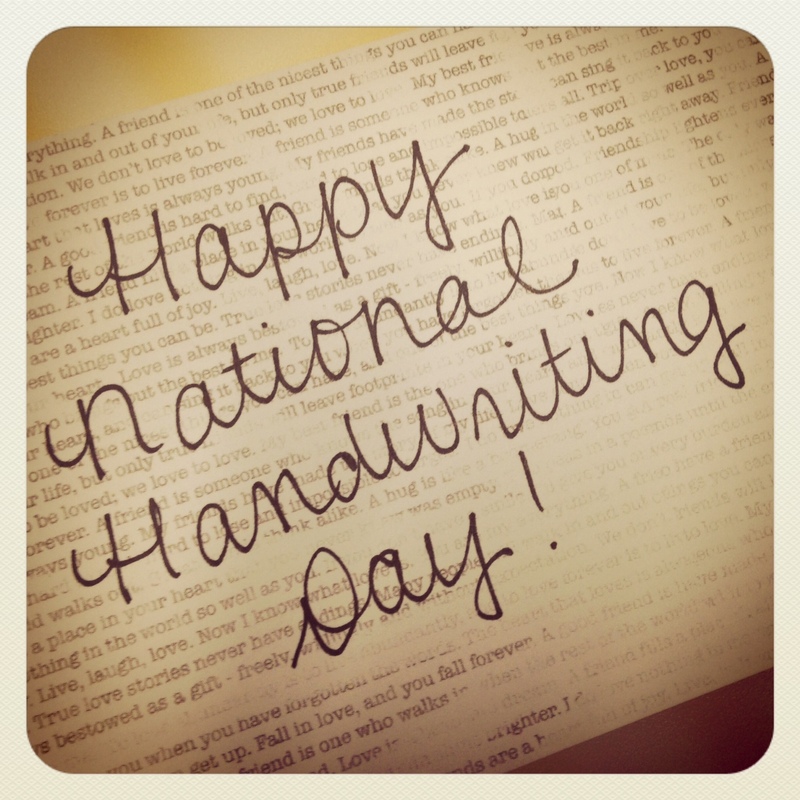 I am going to continue to celebrate National Handwriting Day every January 23rd, and I hope that you do too! What other ideas do you have for NHD activities?